We are looking for a reliable and nurturing nanny to care for our 6 month old son starting at the beginning of March. The position would be from 9am to 4 or 5pm Monday through Friday. Duties would include bottles and feeding, tummy time, books, nap time, and outdoor play/walks. It would be a plus if you had your own transportation and could bring him to and from playgroups and other appointments. We are looking for someone to work with our family full time and hopefully give us a hand and help our little one grow! Hello! We are an easy going and fun family of 3 (and one pup!) looking for a full-time, long term caregiver for our son. 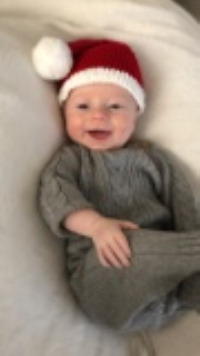 Our little guy was born with a congenital heart condition, and while he is doing great, it is important for us to work with someone who can take an active and engaging role in his development. He currently follows a pretty regular eat-play-sleep schedule during the day and adjusts well to any changes in routine. I know all parents say it, but he really is such a great baby!